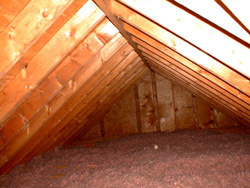 Many people think about the wall and the floor of a room, but ignore the ceiling. 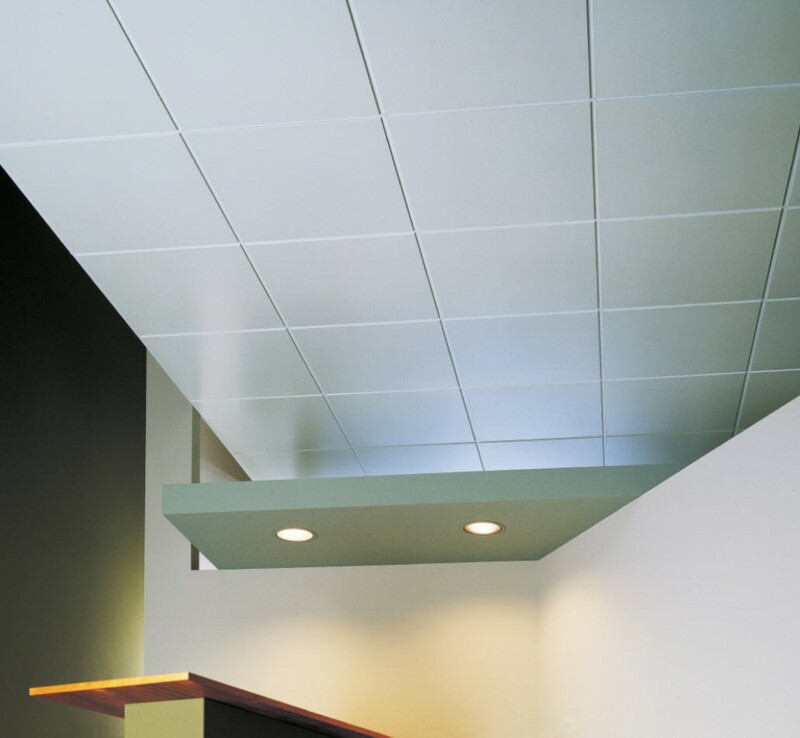 Most white ceiling don’t offer a great look, so it’s important to choose a pigment. According to the chosen color, the room can seem bigger. 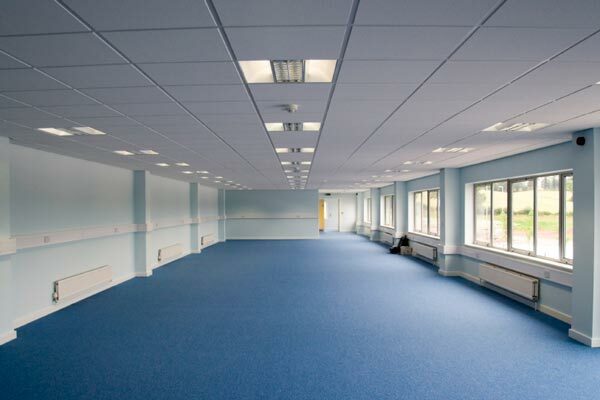 While you may think that white is popular because of it’s neutrality, it’s not a good color for the ceiling. 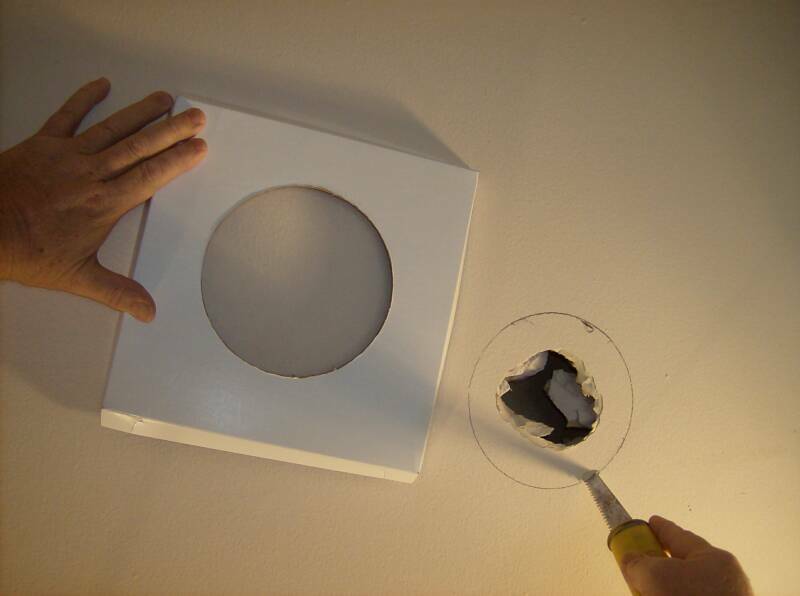 White can make a ceiling look closer on small rooms and further on a tall room. 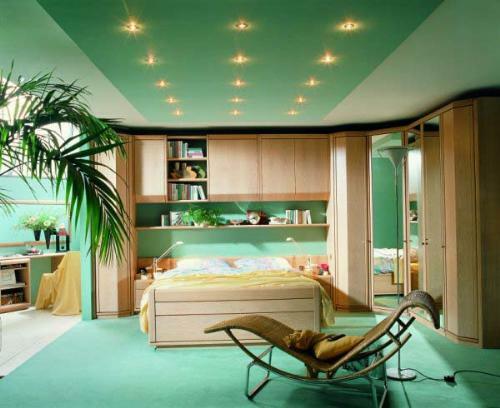 The perfect color for the ceiling is a hue of the wall color. Using soft hues you’ll make the room bigger. If the wall are white, this doesn’t mean that the ceiling must be white as well. Using soft hues will make the room more spacious. You can use sky blue, sunset peach, or sunlight yellow. 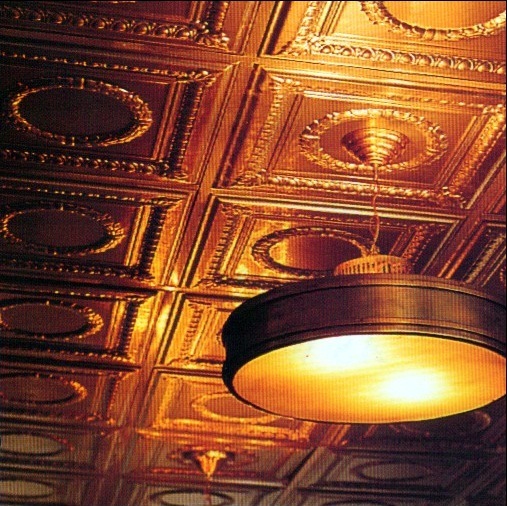 If you want to bring the ceiling down, consider painting it a dark color such as navy, chocolate, or charcoal. 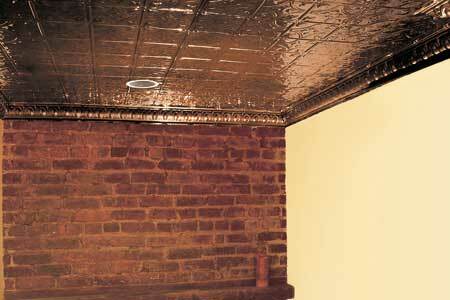 If the room is dark, paint the ceiling in a high-gloss finish to amplify the room existing in the room. Also you can use mirrors in small and dark room. 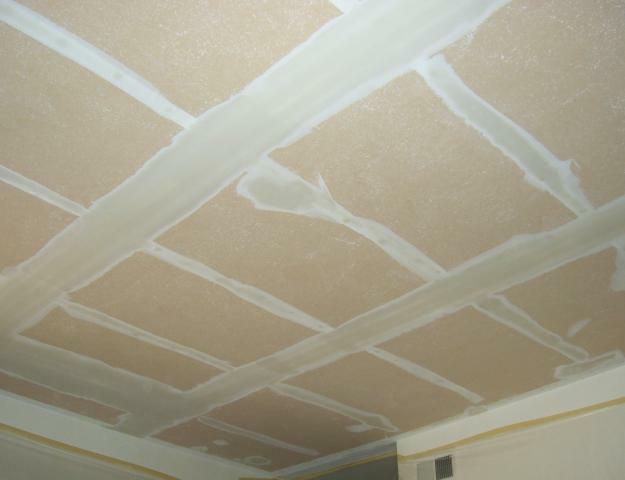 You can use a lot of methods to mask ceiling imperfections. 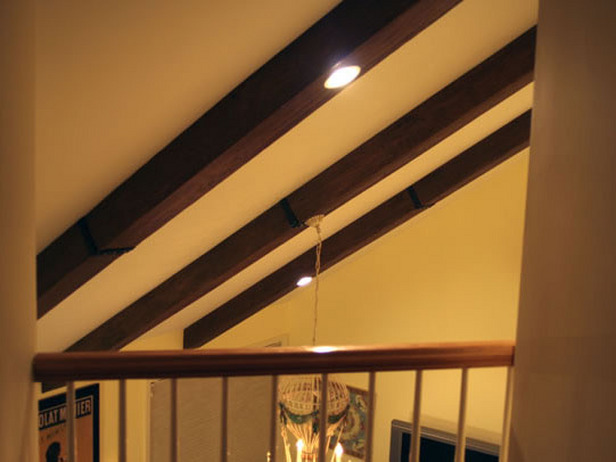 False beams can be used to mask electrical wires or patched cracks. 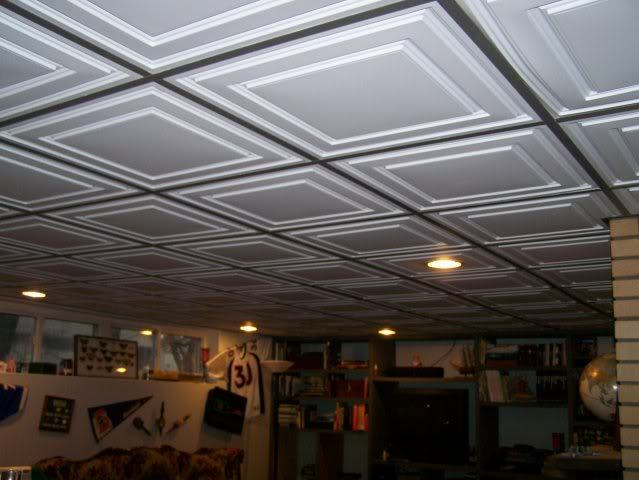 A ceiling can also be covered in beadboard panels or wainscoting. 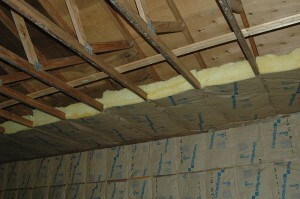 Fabric can also be used to hide the surface of the ceiling. 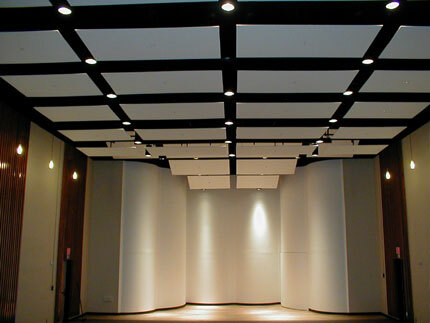 If you want a quiet room, then you can use acoustical ceiling system. 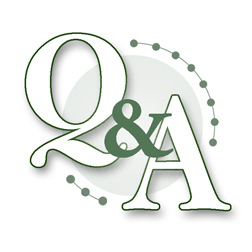 Solserene is one of the products that are used to absorb sounds. 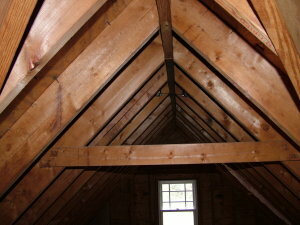 Crown moldings installed on the edges of the ceiling will make it look higher than the rest of the room. 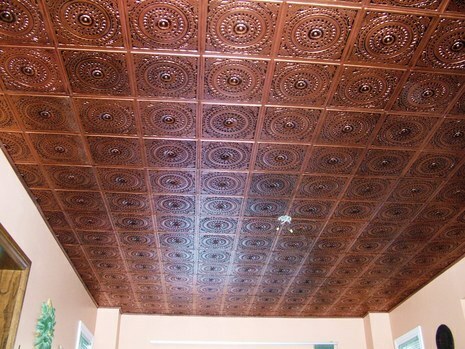 It is also a nice way to frame a beautifully painted ceiling. 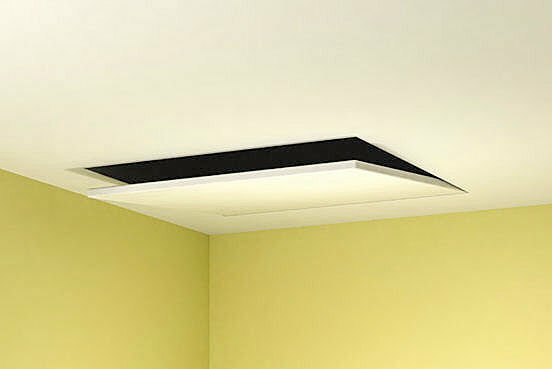 If you want to make the ceiling to appear close to the floor, then you should paint it in a darker color than the walls. 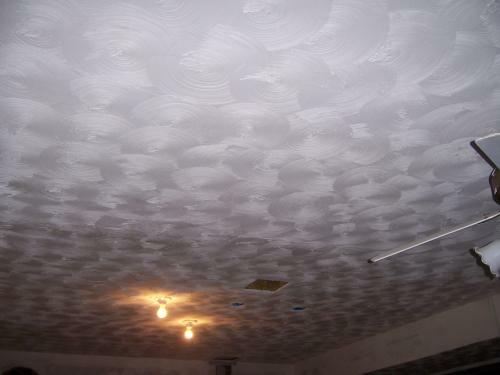 If you don’t want to paint the entire ceiling, then consider painting some diamonds, circles or other patterns that add visual interest.